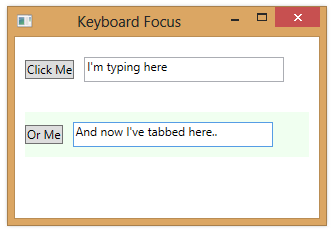 In WPF, you can use the Tab key to cycle through all of the focusable controls in a window, changing which control currently has focus. 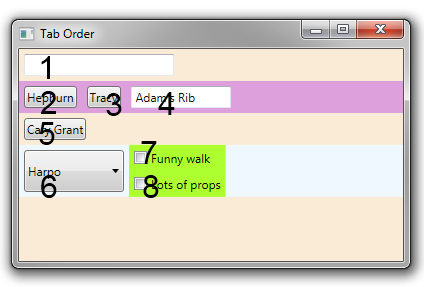 You normally don’t need to worry about the tab order for controls in a window or page because WPF sets the tab order to match the logical tree. If you start an application and press the Tab key, the first control in the logical tree will receive focus. If you then continue to press Tab, each control in the logical tree that has its IsTabStop property set will receive focus. The order will match the logical tree, starting at the top-level parent and working in a depth-first fashion through all child controls. In the example below, we have several nested StackPanels in a window. The numbers indicate the effective tab order. 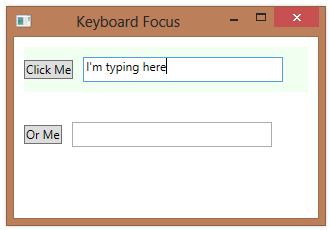 You can give a control the keyboard focus using the static Keyboard.Focus method. 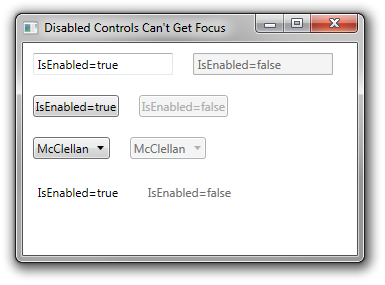 If you want to instead give a control the logical focus, you can use the FocusManager.SetFocusedElement static method. (In the System.Windows.Input namespace). 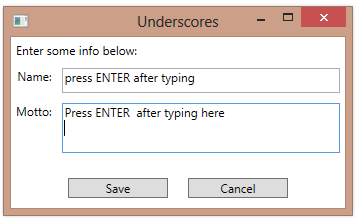 If you do this in an application with multiple windows and you set logical focus for a control in the inactive window, you’ll see that it does not get keyboard focus. 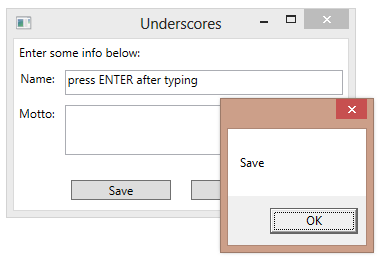 You can continue entering text in a control in the active window. But when you switch back to the inactive window, you’ll see that the control does get keyboard focus.